Start the special night with Kaiseki dinner served at Kane-Tanaka. 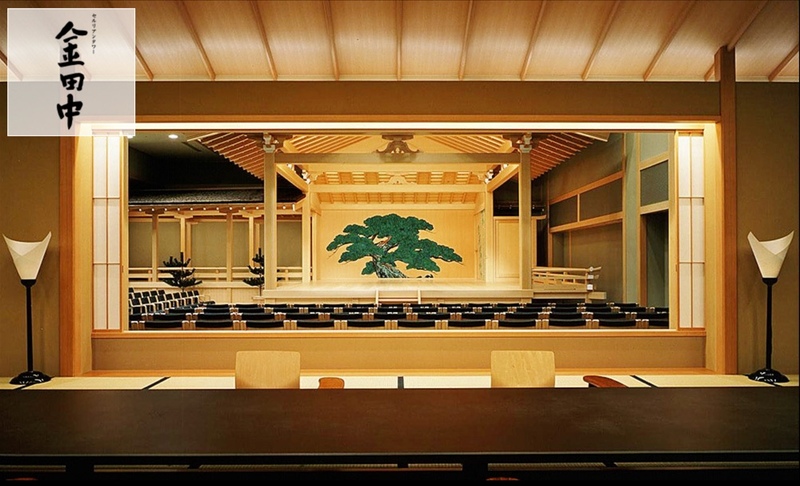 Zashiki, tatami-mat, room overlooking the Noh stage will solely be dedicated for the Box seat guests. Enjoy the *Kaiseki dinner, delicacy on each dish prepared with utmost attention to detail. Matcha green tea is also served at the Tea room inside, with a stone garden in the view. After the dinner, guests are invited to enjoy the Noh and Kyogen show at the front row seat inside the Noh theatre. * Kaiseki originally means a gathering of poets. At the gathering, poets would enjoy creating poems and linked-verse together, followed by a special meal to enjoy with drinks. Kaiseki dinner usually starts with appetiser and soup, followed by dishes like raw fish, grilled fish, marinated vegetables, finishing with rice and miso-soup, and fruits as desert. * Drinks are not included in the plan.